Two thousand years ago Jesus said, “He sent me to preach the Good News to the poor.” Since 1732 the Redemptorists have followed in Jesus' footsteps, preaching the Word and serving the poor and most abandoned. This congregation of missionary priests and brothers was founded by St. Alphonsus Liguori. 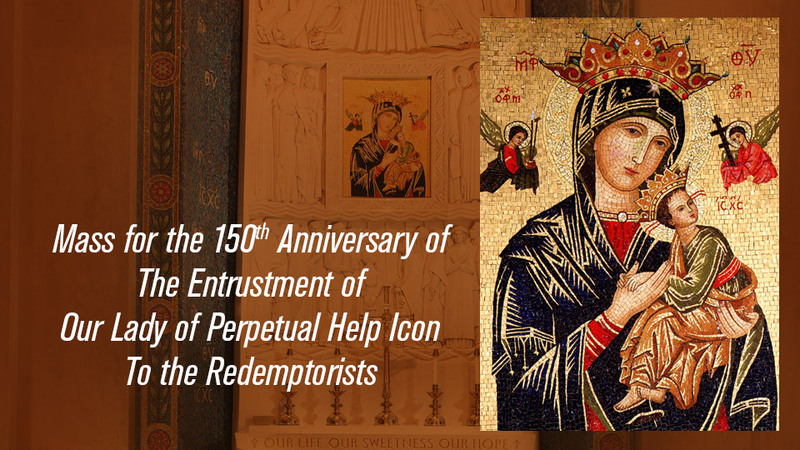 The Redemptorists of the Baltimore Province are marking this jubilee with the Mass and Live Broadcast of the 150th Anniversary of the Entrustment of Our Lady of Perpetual Help Icon to the Redemptorists at the Basilica of the National Shrine of the Immaculate Conception in Washington, D.C.. The Mass will be celebrated by Very Reverend Michael Brehl, C.Ss.R., Superior General of the Redemptorists. To learn more about the Redemptorists, visit their website, connect with them on Google+, Facebook, and Twitter.